Our charts are designed for sharing at a jam: Large fonts, chord diagrams, single page - well, except for "American Pie", but what can you do? We also like to have the chord names appear above the lyrics. That is a personal choice. There may be times when you are playing with someone who doesn't know the song, so we provide some timing information to indicate how long to play each chord. For example, if there are three measures of the G chord, we include the "G" symbol three times! One note on the choice of the key for each song. Every song ever written has two keys: The original key, and the key you are performing in. That's it. There is no such thing as a correct key or a wrong key. 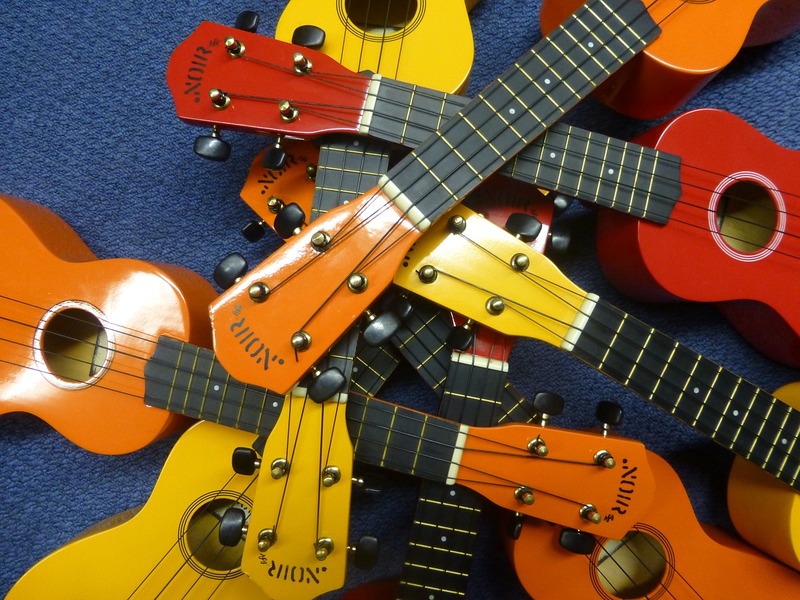 We at Uke Jams find that the common practice of putting everything in the key of C to make it easy to play sometimes makes a song difficult to sing. We very selfishly prefer the key of D, so you will find that quite often here. You may even find the occasional song in E or Bb. Beware! Some of the best and highest quality ukulele chord chart compilations on the web use different formats, and some even let you change keys or instruments. Here at Uke Jams our focus on readability and share-ability precludes some of those functions. That is a trade-off we choose to make. Uke Jams is currently a one man show consisting of me, Leonard Kaufer, but I am indebted to and inspired by the ukulele communities of Santa Cruz and the Greater Sacramento area.